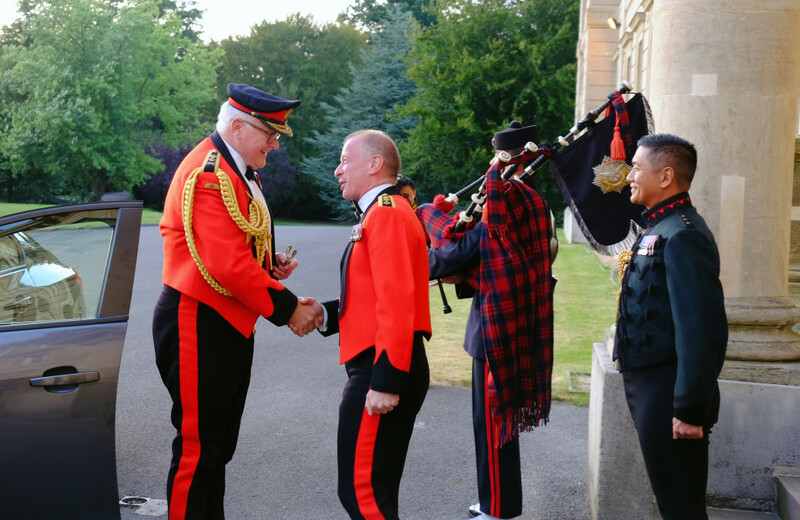 On the 1st September 2016 the Brigade of Gurkhas was honoured to be able to bid farewell to General Sir Peter Wall GCB CBE DL in true Gurkha style as he stepped down from the role of Colonel Commandant after almost 5 years in post. The guests were welcomed outside the home of HQ Brigade of Gurkhas (Robertson House at Sandhurst) by the Colonel Brigade of Gurkhas, Colonel James Robinson together with the two Queen’s Gurkhas Orderly Officers, Captain Lalit and Captain Ganesh Tamang and a Piper Lance Corporal Lokraj Limbu from the Queen’s Own Gurkha Logistics Regiment. 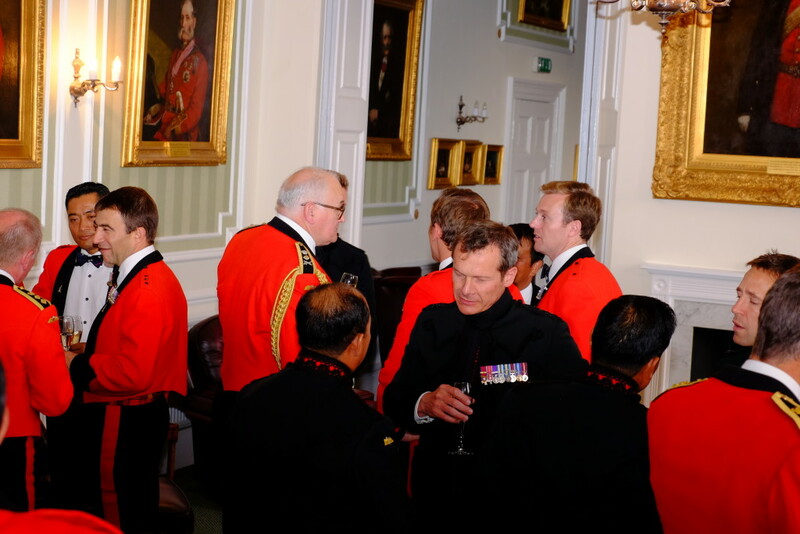 Tipan Tapan was offered with a celebratory champagne as members of the Brigade gathered for a pre-drinks reception. 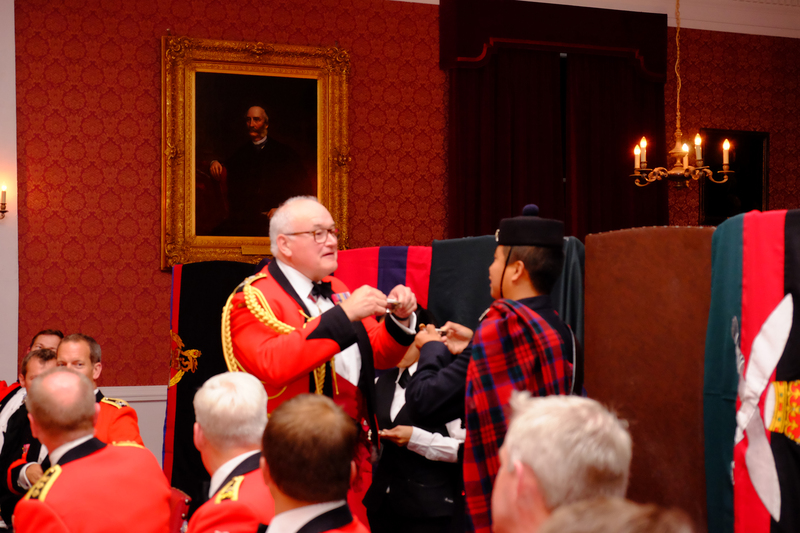 This was followed by a traditional Gurkha bhat, prepared and delivered in an excellent manner by the Queen’s Own Gurkha Logistics Regiment’s Sergeant Sajan Gurung and Corporal Amrit Limbu. After the meal ‘Toasts’ were raised to both The Queen and The President and People of the Federal Democratic Republic of Nepal. The Piper then played music while marching swiftly around the table before returning to take Quaich with the General. Colonel Robinson then led speeches in honour of General Sir Peter Wall. He commented on the excellent and huge contribution the General had made to the Brigade over his tenure and the wisdom and advice he had provided. 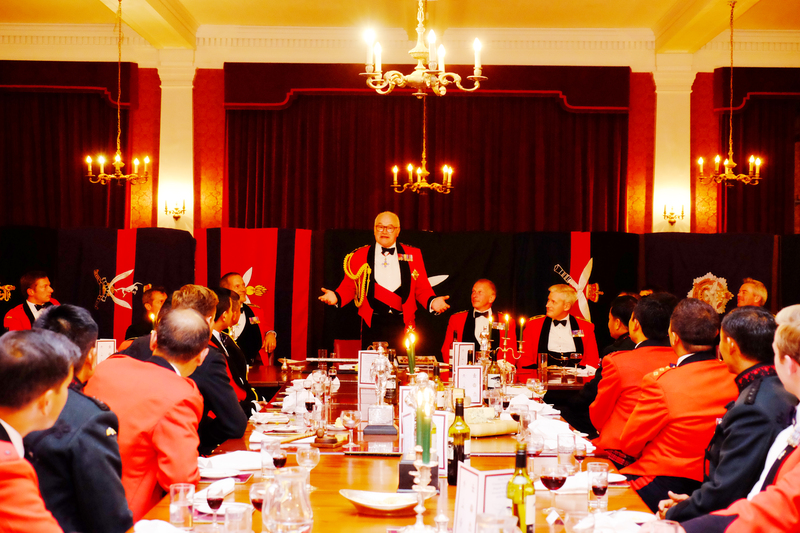 The General was presented with a number of leaving gifts; a ceremonial Kukri inscribed with all the Brigade badges, two prints from the Tony Hart collection and a photobook which chronicled his time as Colonel Commandant with the Brigade. We wish the General well in his future plans and know that he will be there should be need to call on his support in future years.